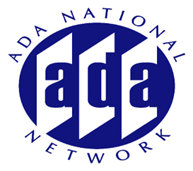 Reflection on 28 years of the ADA: What have we learned, where do we go from here? NOTE Special Date- July 31! With the 30th anniversary of the ADA fast approaching it is time to reflect back on the 28 years since the passage of the ADA and examine some of the milestones that shaped the direction that the law has taken. With the passage of the most significant piece of civil rights legislation impacting the lives of persons with disabilities there were many hopes and promises made for the future. This session will reflect on what it took to get where we are today as well as discuss different points of view in terms of where we still need to go and what may need to happen next in order for the full promise of the ADA to be realized. Join our distinguished speakers who collectively represent a wealth of knowledge and experience working directly with the shaping of the ADA from inception to implementation.